They said it couldn’t be done. That a commercially raised Monarch butterfly couldn’t migrate. But Jenny Singleton of the Grapevine Butterfly Flutterby Festival and one commercially grown Monarch proved that a butterfly tagged and released in Texas can find its way 1,114 miles south to join its brothers and sisters in Mexico for the winter. Monarch WGX139 was raised in a commercial butterfly farm, probably somewhere in Florida. On Wednesday, October 12, 2016, Connie Hodsdon of Flutterby Gardens in Bradenton shipped more than 500 Monarch butterflies to Grapevine, Texas. The community sits between Dallas and Ft. Worth, right on the IH35 “Monarch Highway.” Each fall during peak Monarch migration season, usually the second or third week in October, Grapevine celebrates its annual Butterfly Flutterby Festival with the release of hundreds of butterflies. This year, the Festival’s 20th, it will take place Saturday, October 14. Bradenton’s box full of Monarchs, each packed in individual glycine envelopes and surrounded by protective styrofoam and ice packs, arrived for last year’s festivities on Thursday, October 13. Butterfly wranglers Jenny Singleton and other volunteers tagged the butterflies upon their arrival, then moved them to a large, open air cage where sliced oranges and watermelon awaited. Singleton and her crew regularly spritzed the butterflies with water throughout the day on Friday to keep them hydrated. Fresh fruit was replenished as needed while the butterflies awaited their Saturday debut. Starting at 10 AM on Saturday, Festival-goers arrived for a costumed parade, butterfly crafts and exhibits, a “migration station,” face painting and more at the Grapevine Botanical Gardens. Monarch butterfly releases occurred hourly in the morning, and children of all ages vied for the limited supply, often waiting in line to receive an envelope which contained one of hundreds of Monarchs ordered specifically for the occasion. The release ceremony finished with a countdown–three, two, one. Off they go! WGX139 was among the flyers. WGX139 arrived in Mexico more than a thousand miles later, at almost 8,500 feet in altitude. It was recovered 138 days after its release at the El Rosario Monarch Butterfly Biosphere Preserve in Michoacán, Mexico, on March 2, 2017. The amazing journey challenges what Monarch butterfly scientists have been saying for years: commercially raised Monarch butterflies do not migrate. The conventional wisdom has always been that butterflies coddled in a laboratory setting with ideal conditions such as infinite amounts of milkweed and protection from predators likely would not develop the Darwinian skill set to migrate to Mexico. Scientists have also bandied about different theories about how important the sun’s cues are, and how they are tied to a butterfly’s location and the ambient temperature to which they are accustomed. More than one scientist has told me that a butterfly raised in Florida and released in Texas would never make it to Mexico. 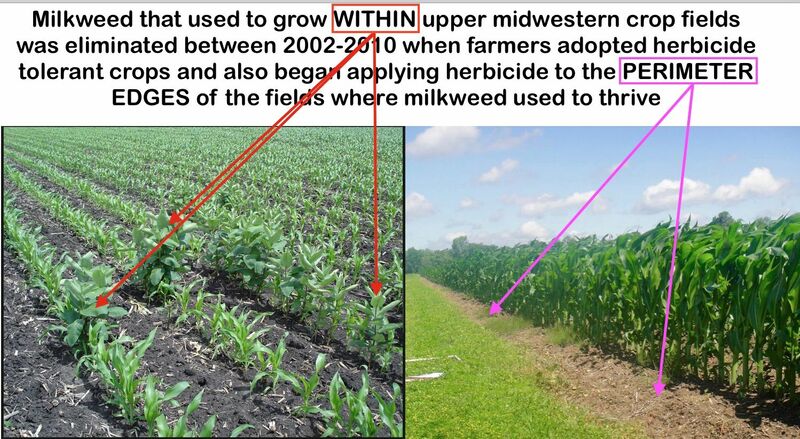 In addition, it’s likely that WGX139 was not raised on milkweed. Bradenton’s butterflies often consume Calatropis gigantea or Calatropis procera, members of the dogbane family. Butterfly breeders sometimes use this African native because it has such enormous leaves and provides ample fodder for hungry caterpillars. It has similar chemical properties to milkweed. Dr. Karen Oberhauser of Monarch Joint Venture doesn’t think that a single Monarch making it to Mexico should dismiss concerns of disease and the other perceived threats caused by commercial butterfly rearing and mass releases. When asked to comment, she directed us to a webpage devoted to the dangers of captive breeding and mass releases–disease, dilution of the gene pool, and interference with scientific studies of population dynamics. WGX139’s international travels and arrival in Mexico “doesn’t really argue against these concerns,” said Oberhauser via email. Citizen scientist Singleton has her own theories. She believes some of the butterflies from the Festival lingered to nectar on local flowers and to wait for the wind to shift. Singleton, who was tagging Monarchs back when they still used glue to adhere them to the wings, said she found several Festival-tagged Monarchs in her yard. “I found four or five tagged butterflies from the Festival on my bushes three weeks later,” she said. “I think they hung out and nectared and caught those southbound winds,” said Singleton, recalling “big southern winds for two weeks” in late October. Connie Hodson, the butterfly breeder who supplied the bulk of the livestock to the Festival, is delighted to know that WGX139 made it to the Mexican mountains. “Not only are our butterflies OE free, they’re super intelligent,” said Hodsdon by phone, referring to Ophryocystis elektroscirrha, the unpronounceable spore-driven disease that often finds Monarchs in crowded conditions. Hodsdon supplied the bulk of Monarchs for our Monarch Butterfly and Pollinator Festival in San Antonio last year. We ordered more than 500 Denaus plexippus from her for our October 22 event, which was modeled after the Flutterby Festival. None of our Monarchs were recovered in Mexico, but 20 of them were netted about two miles downstream. Graduate student David Berman from the University of Oklahoma happened to be in town that day performing a study to determine how late generation Monarchs might affect the migration. According to Berman, 20 butterflies tagged at our Festival on October 22 were netted on the San Antonio River a day later, October 23. None of them had OE, which is one of the major concerns scientists have for commercially raised Monarchs. gloves and passion mixed with pragmatism. “Because every Florida Monarch I found in the wild tested positive for OE,” she said. “And not just a little, a lot of OE.” Hodsdon’s appreciation for butterflies is not limited to Monarchs. She raises 20 different species, shipping thousands out each week during high season. “And I’m not getting rich, because it takes so much work,” she said. So if commercially bred Monarch butterflies can migrate and responsible breeders can raise them disease free, is it possible they could be tapped to bolster the declining migratory population? The science is unfinished on that, but one can always hope. I have a couple of Mexican Milkweed plants that are doing very well in my back yard. Now that we are in mid-July, is there any chance I will find any eggs on them? If so I will start looking so I can bring them inside and raise them per the instructions on this website. Very possible you might find some Queen eggs. Monarchs are also not impossible. Good luck! You are awesome, Jenny! And a good mother for butterflies. Way to go, Jenny! So proud of your work and its significant results! Somehow I knew you would weigh in, Paul. Here in southern CA, we have battled that coddled lab setting for years, but I can now see some encouraging signs of being heard.